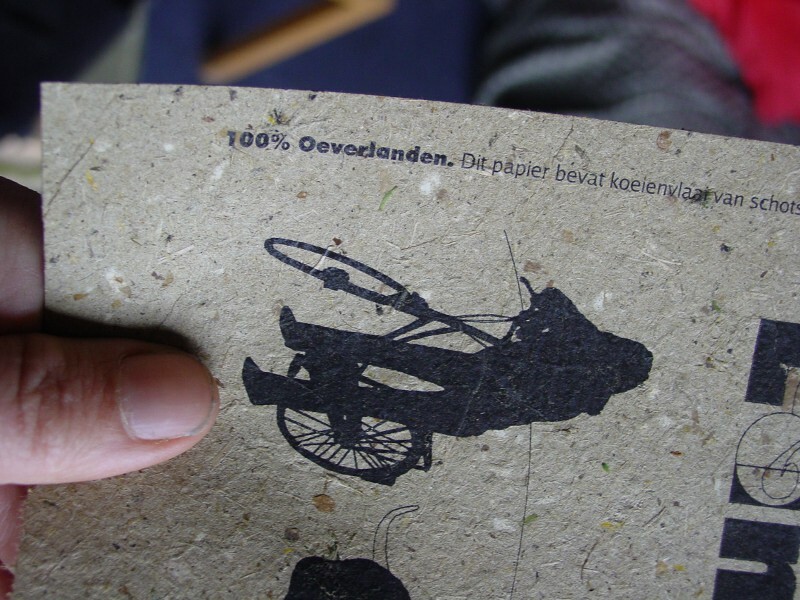 The PooPaper is our flag project that started the whole development of all the other sub projects and experiments around ‘bio-waste’. We were looking for creative and challanging way to contribute to eco-friendly Landen Festival which takes place yearly in the Oeverlanden on the outskirts of Amsterdam. The cows that graze in the park are the original source of our raw material, and the final paper product can be thrown back to the same park and fertilise the ground while decomposting quickly. 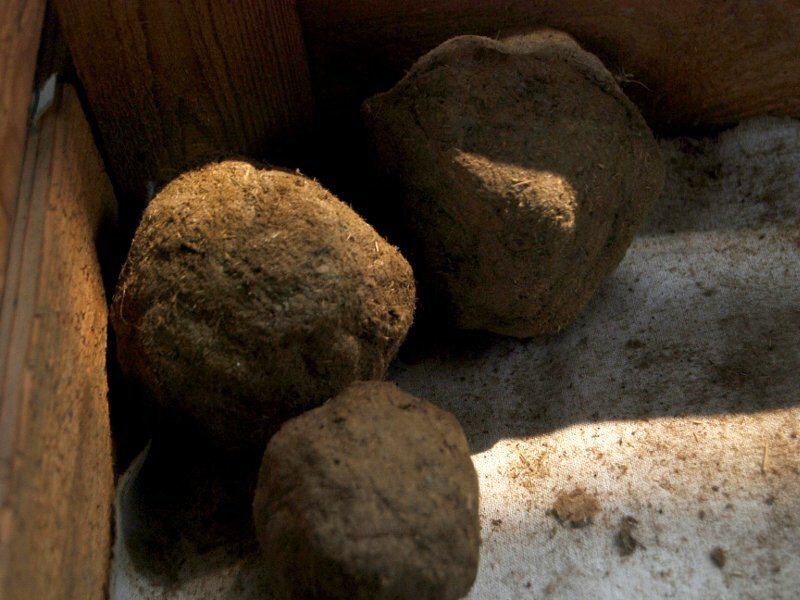 Almost 50% of cow dung contains fibers and cellulose. 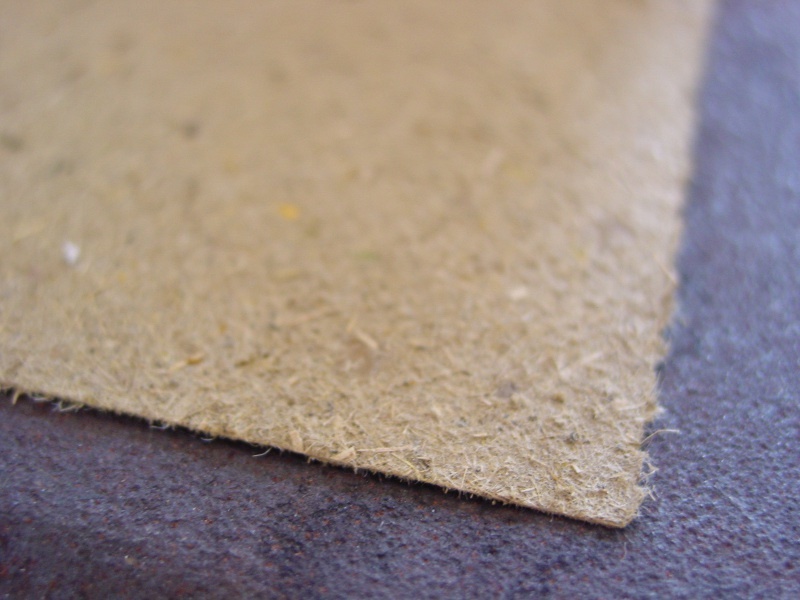 The fiber portion can be used to make beautiful Hand Made papers. 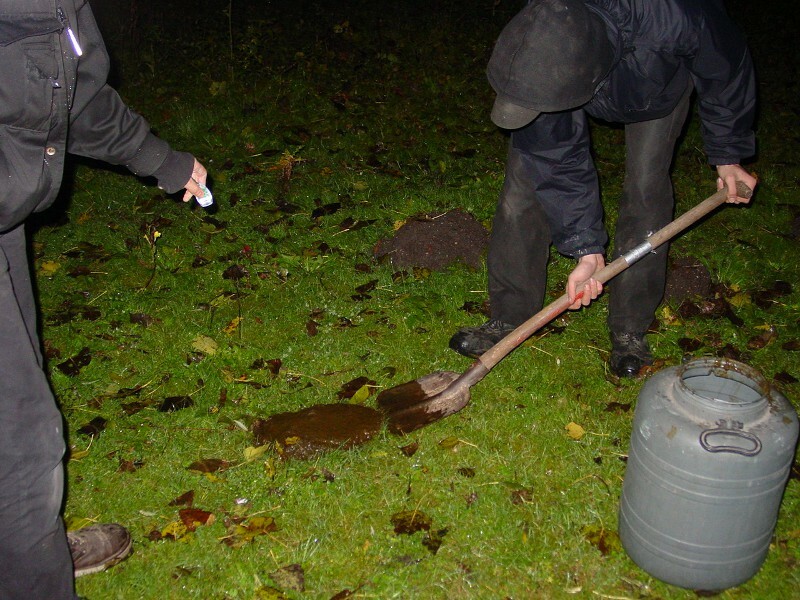 It starts with a walk in the park with a bucket and a shovel. 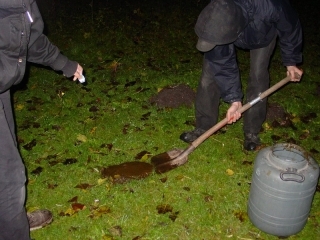 We collect enough excerment which we then wash thoroughly to get rid of as much dirt and unwanted solids as possible. What we want eventualy is realy just the fiber. The cleaned mix is then cooked for about 5 hours, the boiling process kills the bacteria and softens the fibers for the next stage. We also add a bit of Hydrogen Peroxide (H2O2), a natural bleaching agent and disinfectant, to get brighter cleaner paper. Now the mixture is ready for the production of paper, it can be squeezed into ‘tennis balls’ and put out to dry. Balls of fiber are being blended again with water to get a moist pulp. Eventualy we add some flower for decorative purpose. 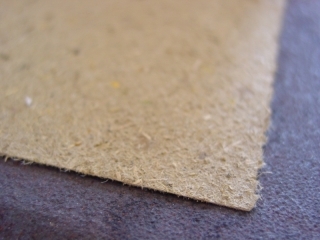 It is also possible to add a natural pigment to produce colorized paper. 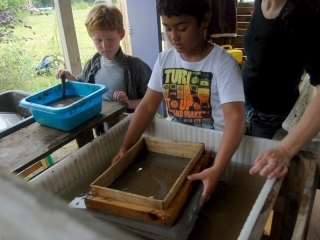 In a framed sieve dipped in a bath of water we evenly spread a spoonfull of poo pulp. When lifting the sieve the water drip through leaving only a flat layer of fibers that make the sheet of paper. The sheet is detached from the sieve onto a piece of cotton with the excess water squeazed out. The newly created sheet is then piled up ontop of the previous sheet. The tower of sheets is eventualy pressed with a weight for several hours and then put out to dry, preferably in the sun. 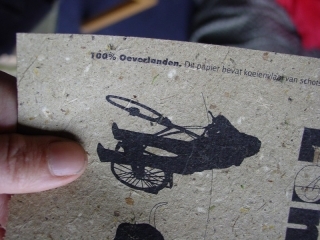 The paper is now ready to draw on or print on with bio-degradable ink..